Dear Priya, I am feeling very excited in penning down my guest post. As an new-bie blogger, I used to be in ‘awe’ for all those scrumptious dishes at your blog, especially those at baking sections, that demands an stand-up applause. You are an great inspiration to us all, kindly maam, keep your good work going. When, I expressed my desire to do an guest-post, the one thing that made my mind was to cook an celebrity dish, in order to cherish this guest-post. And, what not, if for chocolate…..???? Yes, my guest post for this invincible cook, baker would be an chocolate truffle in Italian style….. So, before proceeding to the truffle, here is my list of answers for the prepared questionnaire. I am Arthy Shama from Cook With Arthy Shama. I am home-maker from Hyderabad, with an lovely daughter and an supportive husband. Initially I started this blog, in order to keep myself occupied, but latter this turned out to be my utmost passion. 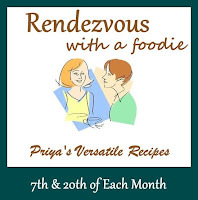 @ my blog, you can find all home-tested recipes, brought by step-by-step pics. Before blogging, I used to browse through lots of youtube videos, in order to learn more dishes. For that, I allotted some sincere online timing. Everytime, I tried, the dish might not have turned into the original version, still, I never failed to try. After blogging, my sources of learning only got elaborate, I started watching cookery shows, called my mother and relatives to know about the same. Online learning was also carried on. By this time, I realized that blogging had actually increased the confidence in me. As I told before, when I landed up at Hyderbad, I was all alone with an five months baby and an work-aholic hubby. Though I had my own busy schedule, I wanted to do something productive to keep me occupied. Since, I was new to cooking and my learning process had initiated by then, I went on to start the blog. Yes, I agree, there are tons of blogs and lots of hardwork are being shared online. Through my blog, I bring completely home-tested recipes, through step-by-step pics. I also share an honest view regarding my cooking, providing tips for complex ones. The most important goal, being an wide range of dishes cooked with simple home-available ingredients. Defenitely my mother, I still remember being famous at school, for my mom’s vegetable biriyani. That itself, was enough to gain me lots of popularity :D Also my aunt, who is an non-vegetarian expert. Everything in life needs an balance. If you are an home-maker with an baby and demanding hubby, you need to allot time for family utmost, sparing almost none for yourself. Initially, blogging appeared to compromise my family time. Lateron, I planned and dedicated my every spare time, my noon-nap to allot for the blog. My favourites: Pineapple Upside Down Cake, Rava Idly , Flax Seeds Powder, Murgh Pasanda, Bisi Bela Baath. Natural light is all that needs. I am also learning about the same. Better idea is to buy serving dishes of various colours to bring out the difference. Vegetable carving brings very professional look. Monthly once, I try to buy something. Mostly I go for affordable ones, below five hundred rupees. Depends, for the past three months, I am posting slowly due to functions back at hometown. Normally, I post atleast three posts for an week. Yes, dancing. An excellent bathroom dancer, I suppose. Singing and dancing (all within four walls) is my utmost passion. It undoes the stress , and makes me an lot jovial. Nowadays, my daughter also dances along with me, you know ?? Italian chocolate truffle is an delicious combination of almonds with chocolate, party-time dessert or an kid pleaser, this truffle has it all…. Heat milk chocolate, essence in an double-boiler. 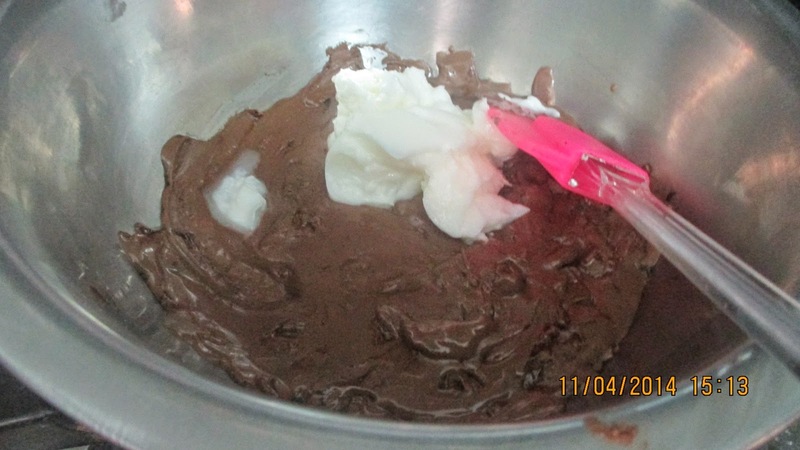 When the melting part is three fourth done, stir in butter and mix without forming any lumps. 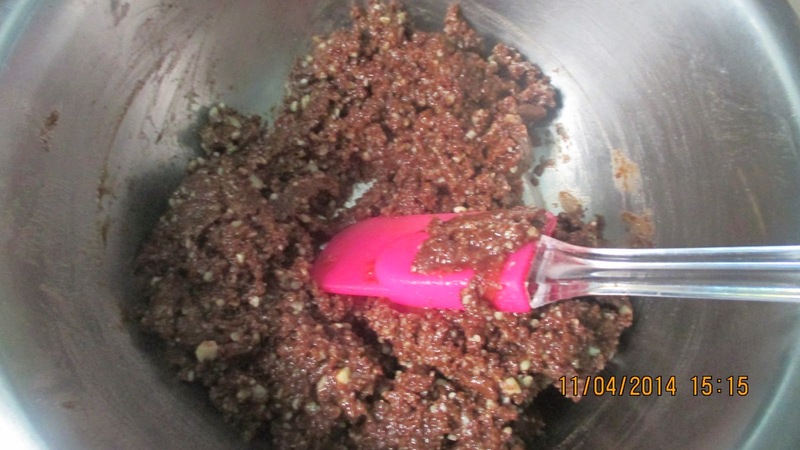 Switch off the double-boiler and add almonds, icing sugar. Mix them till they are well combined. 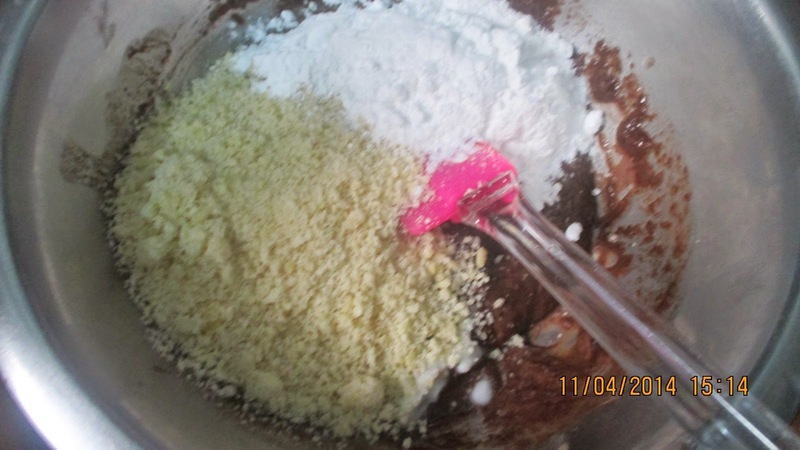 Leave this mixture aside to cool. Form small balls and roll over the chocolate gratings. Place them in cup-cake liners and refrigerate. 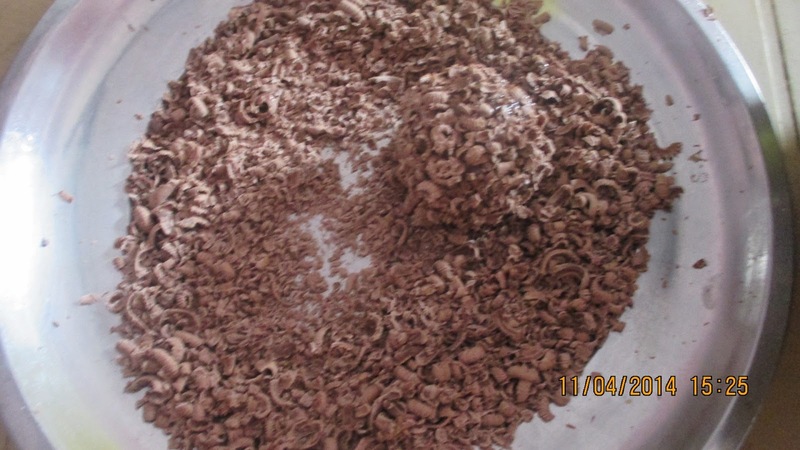 This batch can yield 10-12 medium sized truffles. nice guest post. Glad to know more about you Arti. good job both of you..
Nice to come across another new blog and I love this recipe! 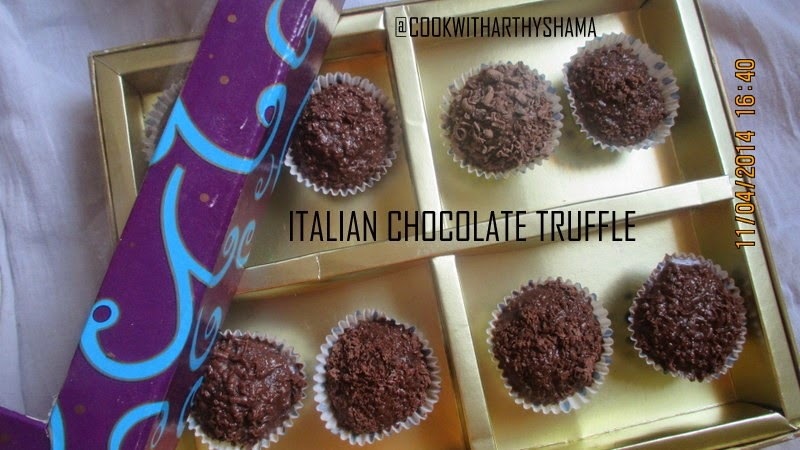 Nice to know abt Arthy's blog.....hoping to learn some yumm stuff there!! They look divine, Arthy. Thanks for sharing. Nice to know more abt Aarthi.u r doing a get job Priya :)truffle looks get ! 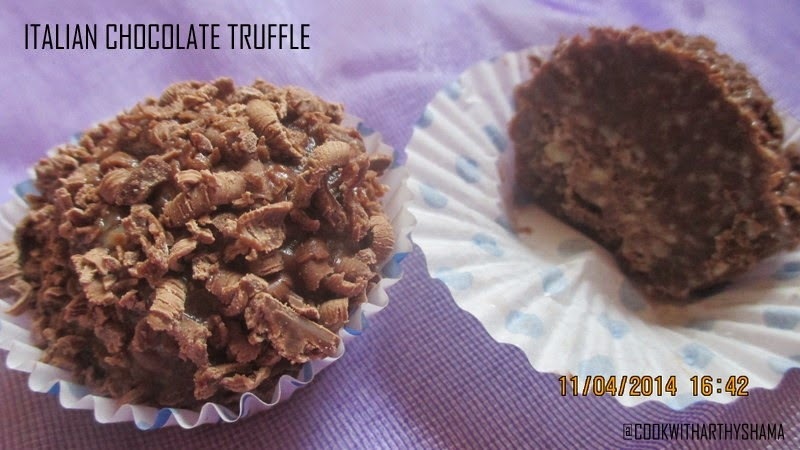 lovely guest post...the chocolate truffle looks super..